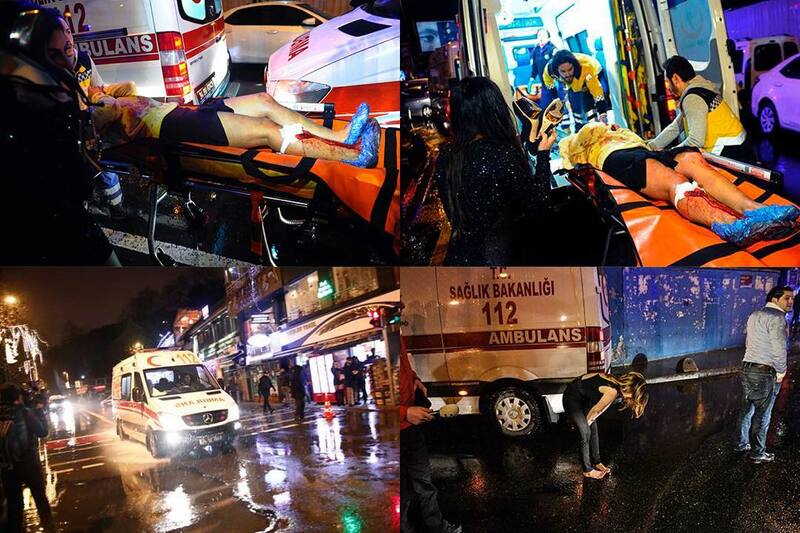 First Terrorist Attack of the Year in Instabul leaves 39, including 16 foreigners, dead. At least 39 people, including 16 foreigners, have lost their lives in an attack on a nightclub in Turkey, the interior minister has said. Suleyman Soylu also revealed police were still hunting for the "terrorist." The city's governor Vasip Sahin earlier revealed one police officer had died in the attack, which took place in the Reina nightclub, in the Ortakoy area, at about 01:30 local time (22:30 GMT). At least another 40 were injured. One attacker was involved, the governor said, while CNN Turk reported he was dressed in a Santa Claus costume. The club was popular not only with Turks, but with foreigners as well, according to the BBC's Selin Girit in Istanbul. She said it was unclear what had happened to the gunman at this stage - adding that some eyewitnesses spoke of there being not one but two attackers. There were reportedly as many as 700 people in the nightclub at the time of the attack, some of whom have jumped into the water to escape.